Culinary tours in India is a gastronomic delight where travelers can explore their love for Indian cuisines. Get the real taste of some of India’s culinary traditions. Experience the delights of Mughal, Rajasthani, Gujarati, South Indian, Portuguese-tinged flavors with a chance for insider experiences and cultural interactions. What if you could not just treat your taste buds but also learn to prepare Indian recipes? A treat for the foodies, we bring to you some of the best cooking classes in India. Learn the preparation of Indian delicacies from master chefs and renowned cooks with expertise in the kitchen. There is something very special about cooking classes in India if you happen to be at this award winning cook based in Kerala. 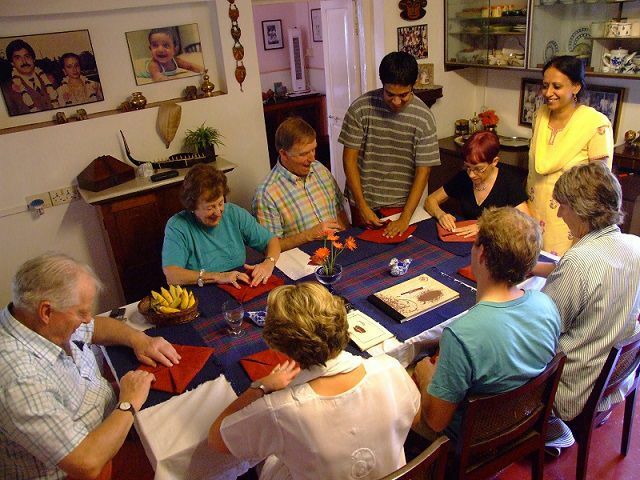 Be prepared for delicious home-cooked meals, cookery demonstrations, or even foodie home-stays. These classes are just the thing you need to learn the ins-and-outs of the local cuisine. Nimmy is a professional cookery instructor and consultant who has expertise in dishes that liven your senses. 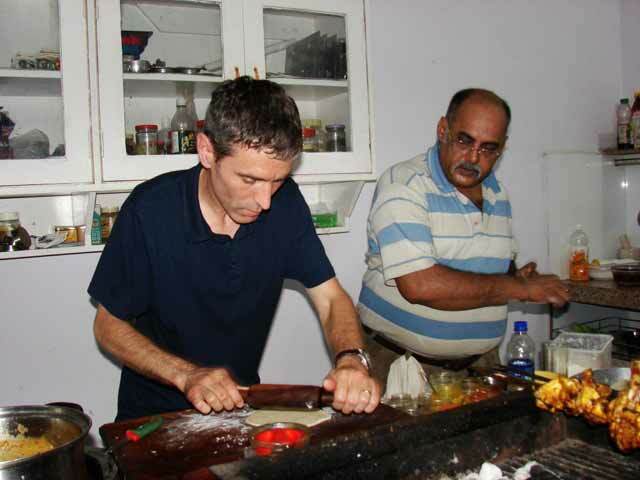 Treat your taste buds to a variety of traditional Kerala Syrian Christian cooking classes in her home. Class duration can range from three hours to a full day. You can also stay at Nimmy’s home and experience the Keralan lifestyle and culture. Duration: 3-5 Hours a Day. 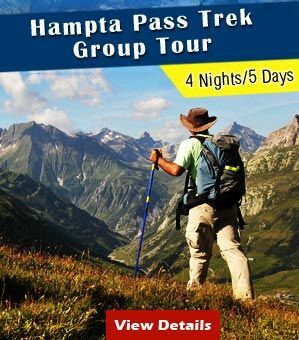 Cost: INR 1000 per person. The Philipkutty’s Farm in Kottayam is one of Kerala’s best holiday properties. Relaxing holidays drenched in bliss are a norm here. The lesser known secret is the wonderful gastronomic pleasures by Mrs. Mathew Senior, the nurturing mother of the resort. The traditional Keralan recipes are concocted here with fresh produce of the farm. Coconuts and bananas grow in abundance. 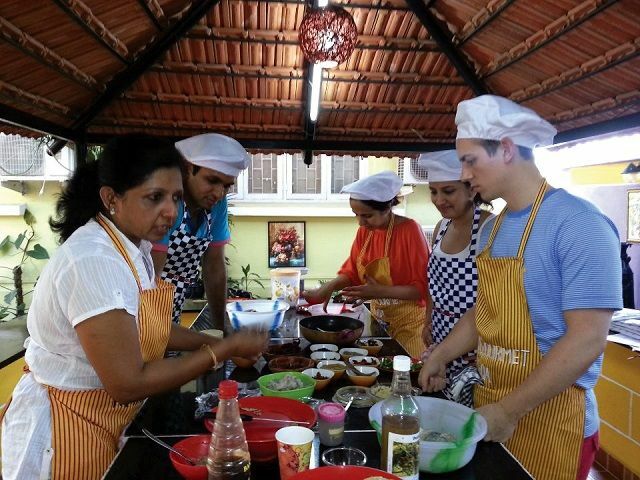 There are daily cooking classes where you learn the preparation of Kerala cuisine. A stay of at least three to four days is recommended or a week would be just perfect to get a better hand at cooking Keralan cuisines. Duration: 2-3 Hours for minimum 4 Days. For the love of divinely delicious chocolates, Cocoka is a definite stop to treat your taste buds. Two lovely ladies, Shikha and Reshma concoct chocolates of all varieties from their home at Saket in South Delhi. Experience chocolate create new sensations within you. 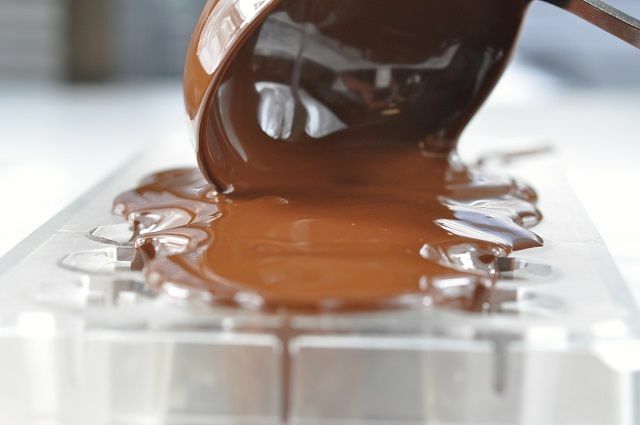 The specialties include Liqueur Chocolates, Truffle Chocolates and Centre-filled Chocolates. In addition, relish two types of Cheesecakes, baked ones with real Philadelphia Cheese in the New York style as well as chilled ones with fruit flavors like strawberry and lemon. Other products are Apple Pies and Brownies. Get ready for a food adventure. The Sita Cultural Center imparts the secrets of culture of Pondicherry. Food is a main part of the culture and owing to Pondicherry’s French heritage the prospects expand. The cultural centre offers cooking lessons in both south Indian and French cuisine. Children can join as there are special cooking workshops for kids. Start your class with a visit to the local market. Learn every aspect of preparing a south Indian meal. Reap the fruits of your labor as you treat yourself to delicious food. The half-day lesson is one of the best culinary tour experiences in India. Are you up for one? 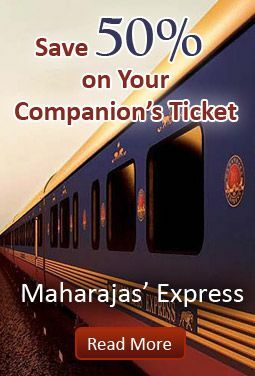 Cost: INR 1,000 per person for adults. Kids classes are INR 400-500 each. 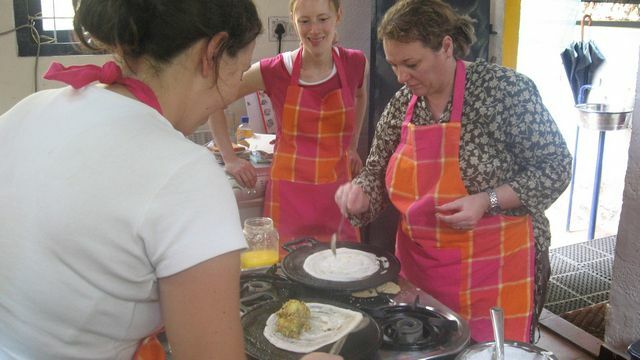 French cooking classes are INR 1,500. Goa is a place of myriad pleasures and food is quite a charm for tourists in the coastal state. Fall in love with Goan delicacies as you learn to prepare these yourself. 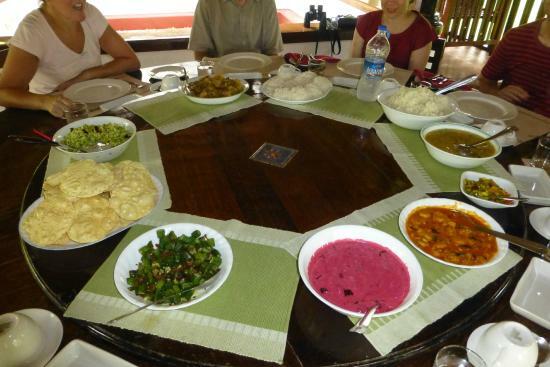 The 350- year- old heritage property of Siolim House offers cooking classes in India throughout the year. The cooking classes, are run by Chef Jane. 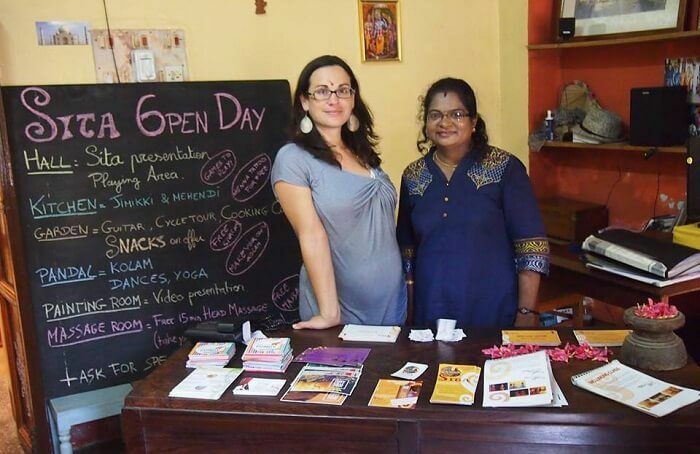 Born and brought up locally in Siolim village, she will share her love for Goan food. 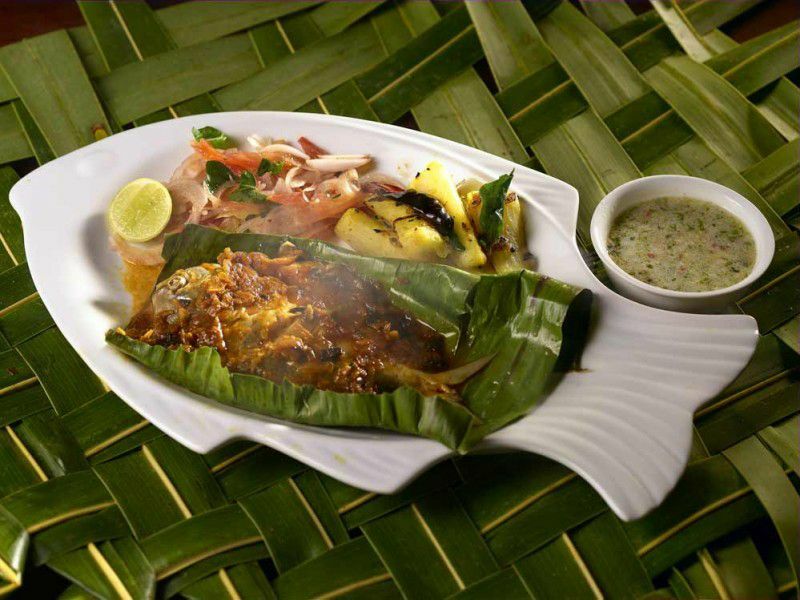 Goan cuisine is popular for its seafood, and Jane’s specialty is Fish Caldine. Join the cooking classes to continue you affair with the mouthwatering platters of Indian food. Cost: Stay for a couple starts from INR 6,500 per night or INR 2,000 per person for a four hour cooking class. Udaipur is a popular city in Rajasthan not just for its beauty and history but the heritage of Indian gastronomy. Shashi, a warrior woman of Udaipur offers cooking classes with wisdom and humor like a fine seasoning to the meal. The basic cooking lessons are conducted in four to five hour classes a day. In her cooking classes, learn how to prepare Indian staples such as masala chai, pakoras, parathas, chutneys, vegetable curry, vegetable pulao, and paneer. Offering one of the best cooking classes in India, Shashi will teach you to prepare these mouthwatering dishes at home within minutes. Take home the secrets of the hearty Indian food. The culinary traditions of Goa is a pleasant treat for tourists from all over the world. Rita’s Gourmet located at Dabolim is one of the unmissable delights. It offers fun-filled culinary experiences. 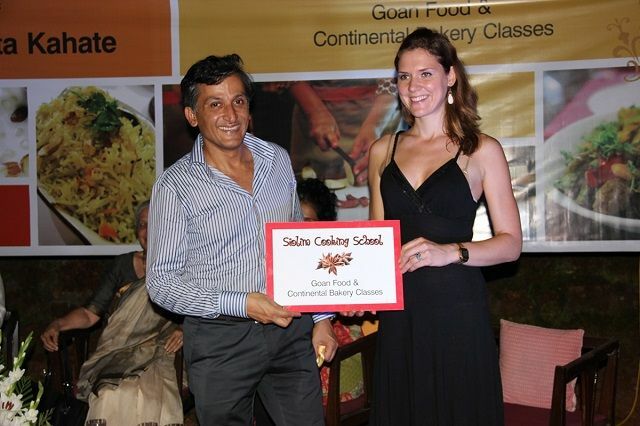 Opt for cookery classes in various cuisines such as Goan, Portuguese, Spanish, Italian, Indian and classic desserts. Rita introduces you to the basic ingredients that go into various cuisines. She also guides you step by step in cooking preparation in an easy and fun manner. Hone your cooking skills and celebrate the joy of cooking. This a perfect stop on your culinary tour experiences in India. For the love of all that is delicious in India New Delhi’s Taj Mahal Hotel isn’t just a stop for luxury-seekers. The haven for gourmands, there are no fewer than seven restaurants on-site. One of the unmissable delight is the sophisticated Varq. Not only can you relish the scrumptious Indian dishes but can also attend the cookery tutorials. Join the Grand Master Chef Hemant Oberoi as he introduces the methods behind his favorite recipes. After the informational lesson, dine on the three-course meal you have created together. 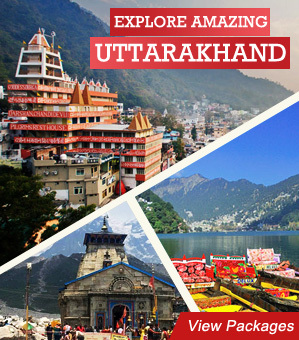 This experience is one of the top spots of your culinary tour in India. Duration: 5-6 Hours for a Day. Cost: INR 2,500 (plus taxes) per session. Take a seat and set your taste buds free as you enjoy dining in Raas Jodhpur. The luxury heritage resort in the Blue City of Jodhpur offers cherished memories of dining in addition to the luxurious stay. Get ready for incredible tastes. The Darikhana is the perfect choice for dining al fresco overlooking the majestic Mehrangarh Fort from its terrace. Offering international delights, Baradari Restaurant serves Thai and Mediterranean speciality dishes. The ingredients on the menu are sourced from the hotel’s own organic garden. The secret of delicious food is the fresh produce of seasonal vegetables, salads and herbs. The hand-ground spices add the special charm to the mouth-watering fragrant dishes. The Oberoi Rajvilas in Jaipur is a standard of luxury. 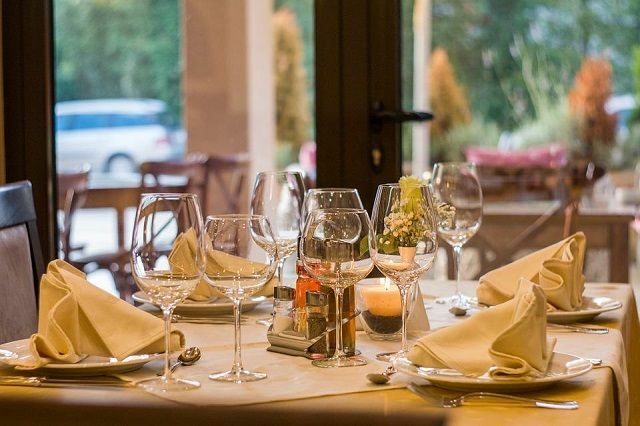 The dining experiences has international exposure. This holiday, get ready for a new adventure. Instead of just relishing food, embark on the fascinating culinary journey with master chefs at Rajmahal restaurant. Discover the secrets of herbs and spices used in Indian cuisines. Learn to recreate the authentic tastes of Rajasthani dishes like Lal Maas, classic chicken curry and buttery dal. The cookery class offers take-home recipes and a very own Oberoi apron. 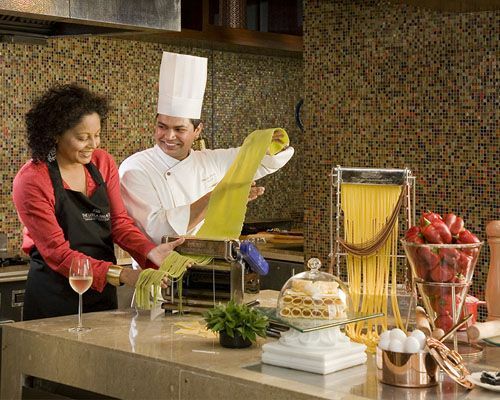 The cooking lessons combine the Rajpur romance with the unforgettable Oberoi experience. 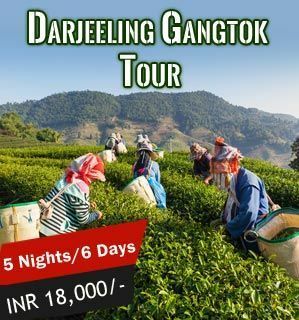 This is one of the best culinary tour experiences in India. 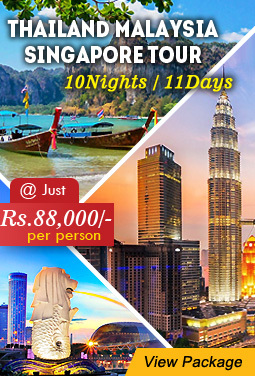 Cost: INR 5500 per person. Another interesting stop on your Indian culinary tour is Aakriti eco homestay. The boutique homestay is nestled in the middle of the famous Nilgiri tea gardens. The hosts are professional chef and nutritionist Renu and her baking-enthusiast husband Ravi. They offer themed cooking holidays. Get ready for lessons on vegetarian cuisines from all over India. Your stay will be in the refreshing homestay. Start your day with a trip to the local farmers market to select organic vegetables and spices. Be involved in a half day cooking demonstration. Learn the step by step procedure in creating theses mouthwatering dishes. Plan your stay according to the lessons you want. Duration: 6 Hours for 4-5 Days. 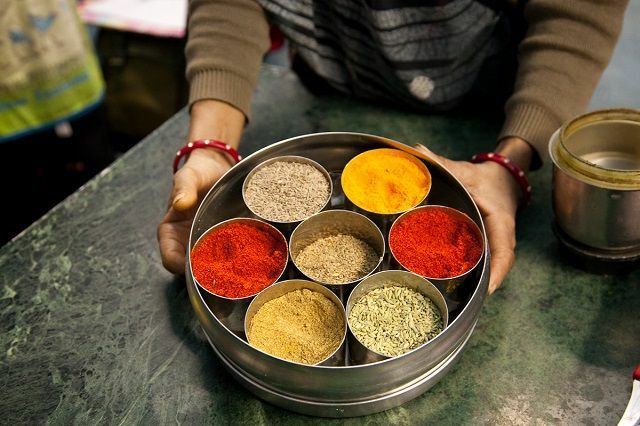 Indian food’s magic comes from its spices. What better than be in the spice paradise to learn some tricks? As the name says, Spice Paradise is the perfect haven to find natural and pure spices. This lesser known secret belongs to the Blue City Jodhpur. Find red chili, ginger, cumin, cloves, pepper and some of the best of spices India has to offer. This a spice shop run by a husband and wife team. Their special masala chai blend is one of the finest you have ever tasted. 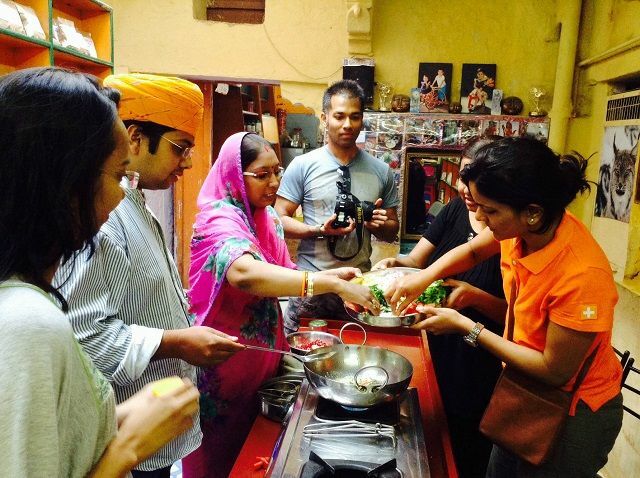 They conduct Indian cooking classes in their humble kitchen. Take lesson on use of spices in creating mouthwatering dishes. Cost: INR 1,000 per person, for a three course meal. If you are looking for a fully-fledged culinary holiday in India, Haritha Farm’s Pimenta Spice Gardens Bungalows is a place you must visit. 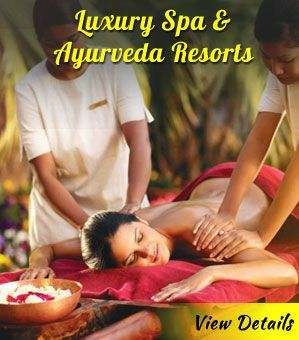 The Ayurvedic resort has pleasurable experiences for guests. The cooking classes are only a glimpse of the incredible delights. There is an interesting range of culinary options to choose from. 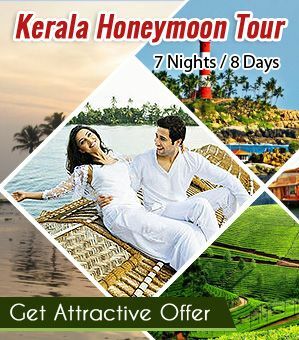 Be it the 10 day Chef’s Special Kerala Vegetarian program, 8 day Kerala Cooking Adventure program, 4 day Kerala Cooking Residency program, 3 day Kerala Curry Magic program, 2 day (or more) tailor made Monsoon Cooking program, learn the secrets of the gastronomy created with spices so beloved in Kerala. Duration: 5-6 Hours for 2-10 Days. Cost: Starts from INR 7,000. An experience that changes the way you think of food, get ready for an overwhelming surprise. 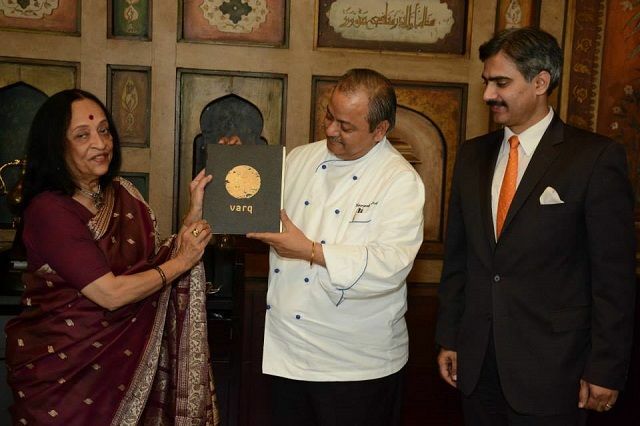 The Leela Palace in Udaipur does not just offer a single cookery course, it hosts its very own culinary sojourn. For visiting food lovers, it is truly a worthwhile experience to get fully engrossed in the art of Rajasthani cuisine. The luxury place offer a three-day itinerary which invites guests for a wonderful gastronomical experience. Work closely with the hotel’s head chef. Begin your lesson by the first hand exploration of a local produce market. Acquaint yourself with the ingredients. The cookery classes includes plenty of sampling. Duration: 4-5 Hours for 3 Days. Cost: Included in Hotel Bookings. The Marari culinary journey in Mararikulam is incomplete without the fresh catch of the sea. The Marari beach resort is set by a typical fishing village. Fresh fish and shellfish are the main ingredients of the gastronomy. These are crafted into an endless array of possibilities. The tastes come from the fresh picked produce from the organic farm. The final accents are fresh ground coconut and aromatic spices. The flavors of these very spices are so potent that they caused wars amongst the colonial powers. Not only savor these delightful essences but also learn the art of cooking the nourishing platters. Duration: 2-3 Hours Daily according to your stay. Thank you for your kind words. For more such interesting posts keep following our blog. Glad that you liked the post. For more such interesting posts, keep following the blog. Great post! I really loved your tweets from India too!